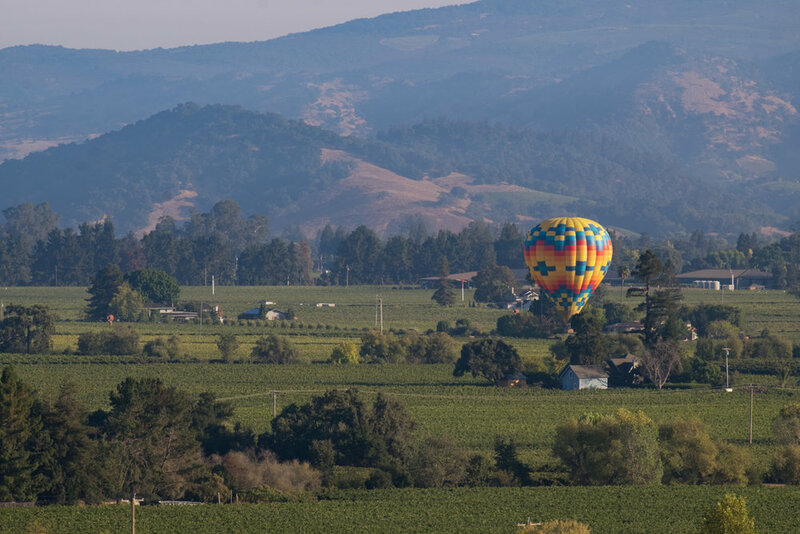 After the coldest summer in memory it was a relief to head north to Napa Valley for Fred Larsen's annual Friends of Photography hot air balloon chase. The idea was to capture the balloons in juxtaposition with the full moon setting in the west. All great on paper, but when we arrived the moon was setting in one direction and the balloons were flying in another. You can't argue with wind patterns. 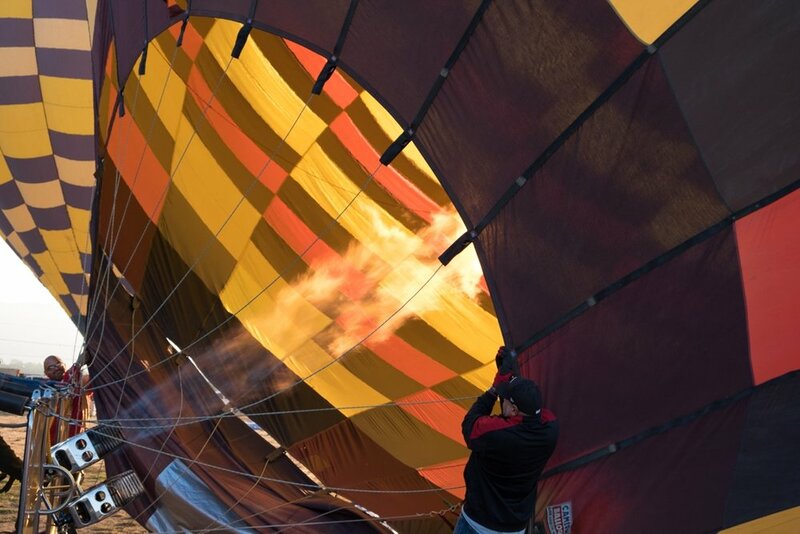 Still, it was a glorious day with the brilliant balloons flying in one of the most beautiful settings in the world. Wow! Is It Going To Crash? Hey! There's a Hot Air Balloon In The Front Yard!